OB-GYNs Say No Prescription Should Be Needed To Get The Pill : Shots - Health News Easier access to oral contraceptives could reduce unintended pregnancies, doctors say. But the Food and Drug Administration would have to allow purchases of the pill without a prescription, and that's not going to happen anytime soon. 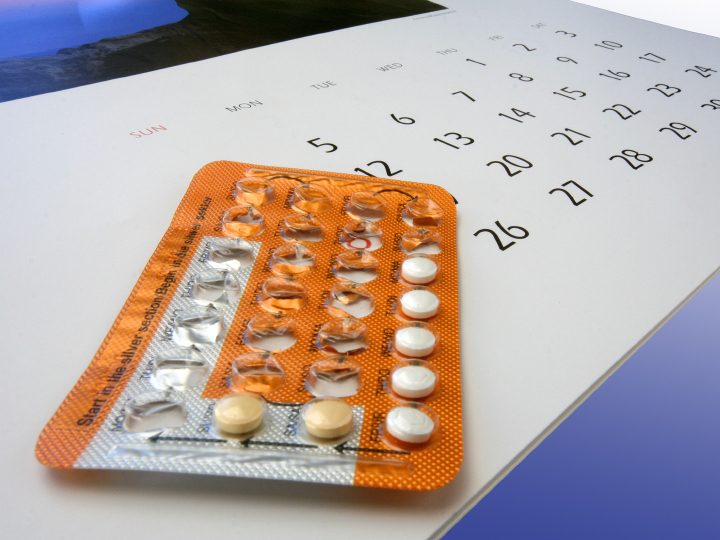 Time for oral contraceptives to be available without a prescription? The time has come for the pill to be available over-the-counter, the nation's leading group of obstetricians and gynecologists says. Why? "There's a 50 percent unintended pregnancy rate in the U.S., which is extremely high for a resource-rich country," says Dr. James T. Breeden, president of the American Congress of Obstetrician and Gynecologists. Easier access to oral contraceptives could go a long way to bringing that number down, he tells Shots. The argument for the switch was just published in an ACOG policy statement. But don't expect to see the pill next to acetaminophen or cough syrup on drugstore shelves anytime soon. The Food and Drug Administration would have to agree that the benefits to women outweigh the risks from taking the pill without a health professional's guidance. The feds have approved switches for some allergy pills, heartburn medicines and even allowed nonprescription sales of the emergency contraceptive Plan B to adults. But the FDA has rejected the switch of some common cholesterol drugs called statins to OTC sale. The clearest path to nonprescription status the pill would be for a drugmaker to push the case with the agency. ACOG would support a move like that, Breeden says, but it's not the group's place to lead the commercial charge. Should birth control pills be available without a prescription? What are the risks? The biggest worry is blood clots. They're rare, but the risk rises for women who smoke or are over 35. Uncontrolled high blood pressure would also boost the risk for trouble. But, Breeden says, "It is much worse to have a women who is hypertensive be pregnant that to be on birth control pills." It's also possible that women would skip some visits to their doctors. Other over-the-counter medicines also carry risks, though. Aspirin can lead to serious bleeding problems, and overdoses of acetaminophen (the active ingredient in Tylenol) are a leading cause of liver failure. Breeden is confident women could adequately screen themselves before deciding to start oral contraceptives. They might even do a better job than doctors at that, he says. "All in all, it would be a major benefit" for women to be able to buy the pill prescription free, he says.